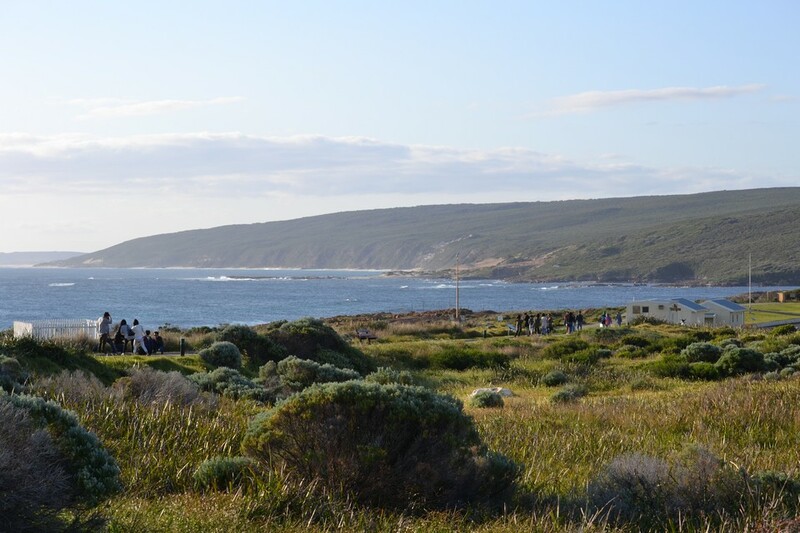 After visiting Busselton Jetty and Lake Cave in Margaret River, Cape Leeuwin was our last destination of the day. 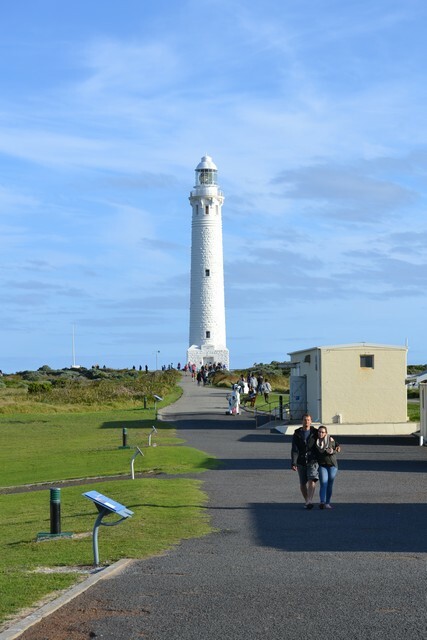 We intended to climb up to the top of Cape Leeuwin lighthouse but we couldn’t catch the last tour as we were few minutes late. So we had to remain contended on strolling around the ground. I have to say that Australia is bit expensive for tourism. 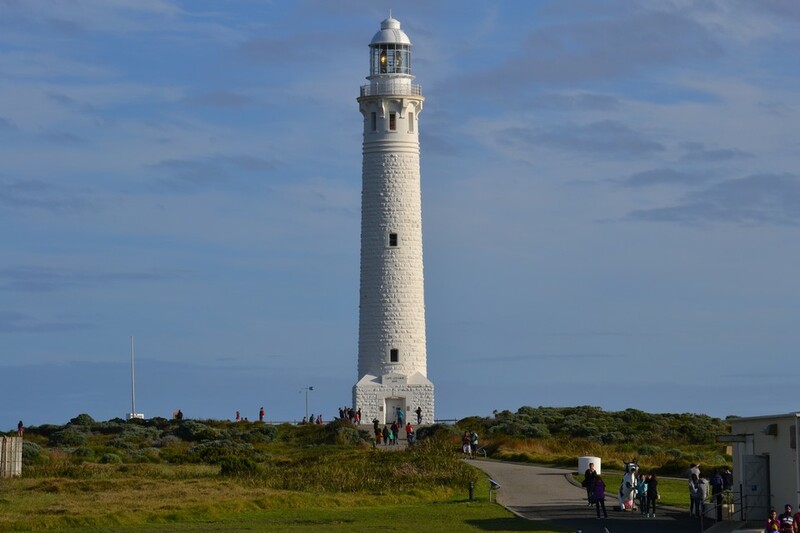 I mean, they were charging 8 AUD per head just to let one move around the lighthouse and it becomes a reasonable amount for a family of four. But I also have to admit that the views of the expanse were breathtaking. Blue sea water, lush green plains plus pleasant weather – I loved it. The tower stands 39 meters high from ground level and 56 meters above sea level and is really eye-catching in contrast to its surroundings. 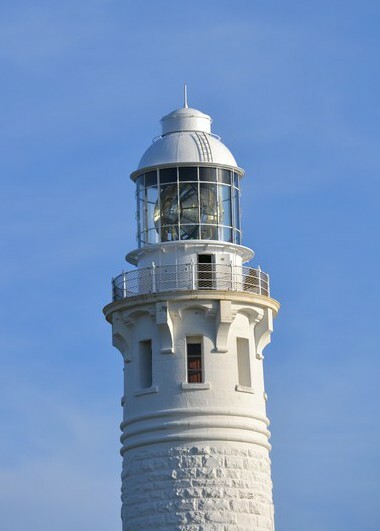 It is said that the lighthouse’s piercing beam has an intensity of one million candles and it can be seen from 48 kilometers. Pretty far, isn’t it? Unfortunately, the lighthouse facility closes at 5 pm for public so we couldn’t stay longer to experience it at night. No, the tower is not leaning. In fact, I couldn’t capture it straight. Some small Islands in the area. I don’t know to which direction this arrow was pointing? Do you have any idea? If yes, you are free to comment at bottom of this post :). 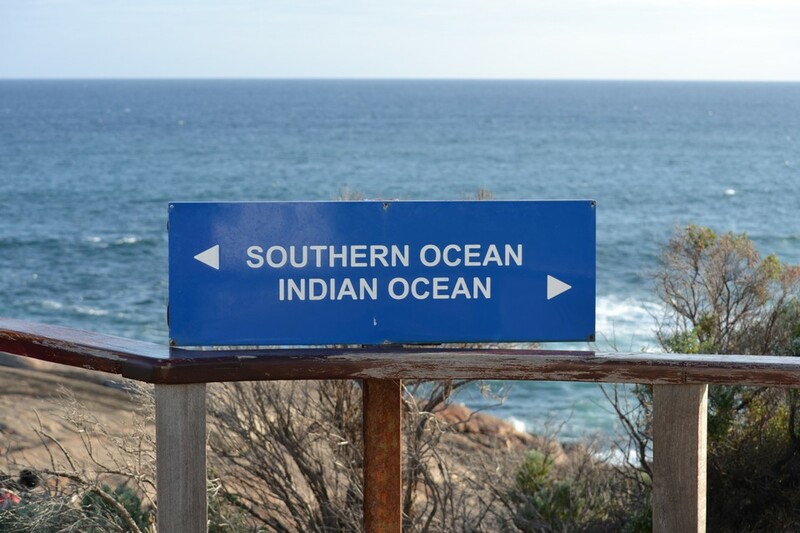 It’s interesting to know that Cape Leeuwin is the point where two oceans meet. There were couple of permanent telescopes to closely observe the region – specially to observe the water currents of two colliding oceans. 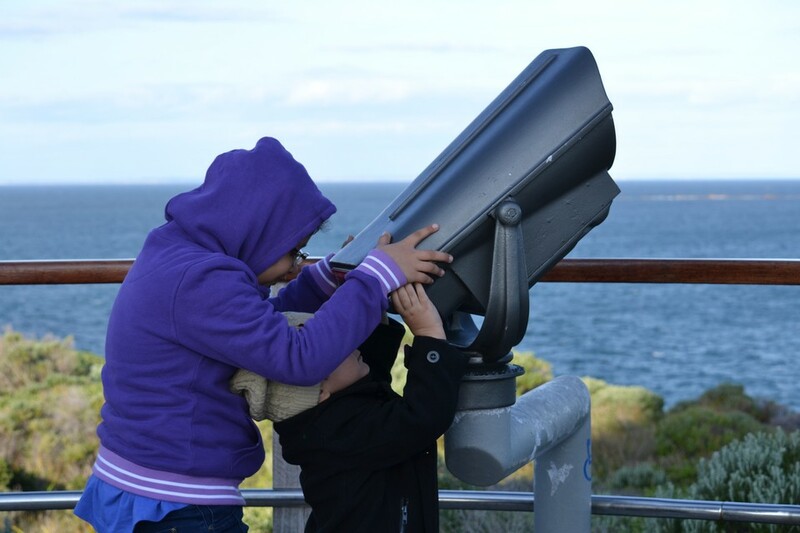 Perhaps, my kids were too short to see sea or my son was thinking like an astronomer as he was trying to figure out something on sky in day-light. 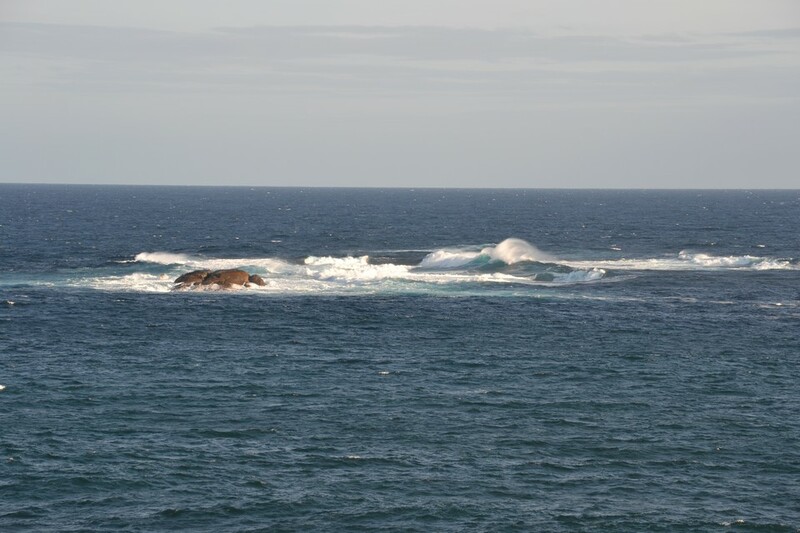 I have tried to zoom the colliding waves in below photo. Can you notice the splashing caused by collision of water tides moving in an inclined opposite direction? 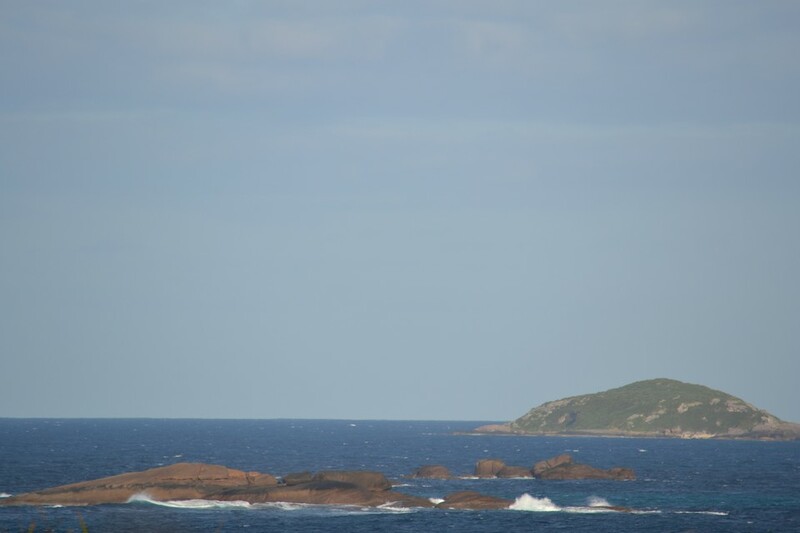 It may not be clear in the photo but once seen through telescope, one can clearly see water waves moving towards each other forming joining line of two oceans. Now was the time to return to our base. 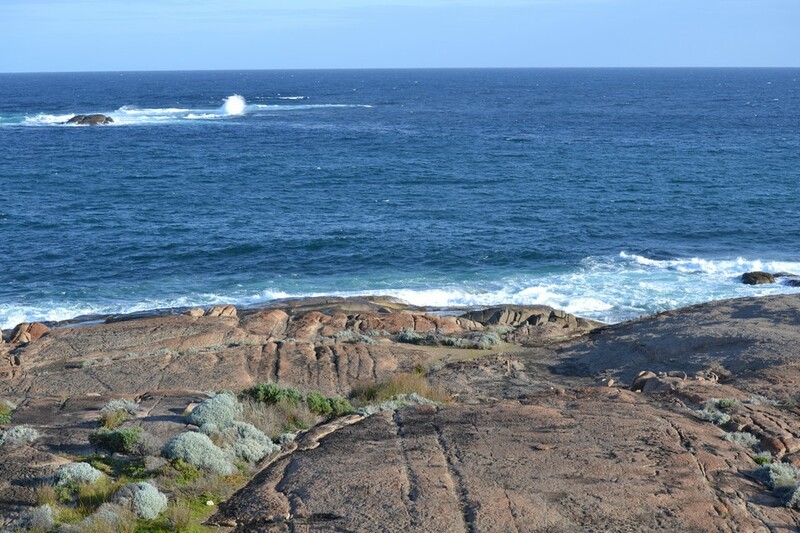 It was around 4 hours straight drive from Augusta to Perth. Alhamdulillah, we reached home safely with a hectic but joyous one-day trip. 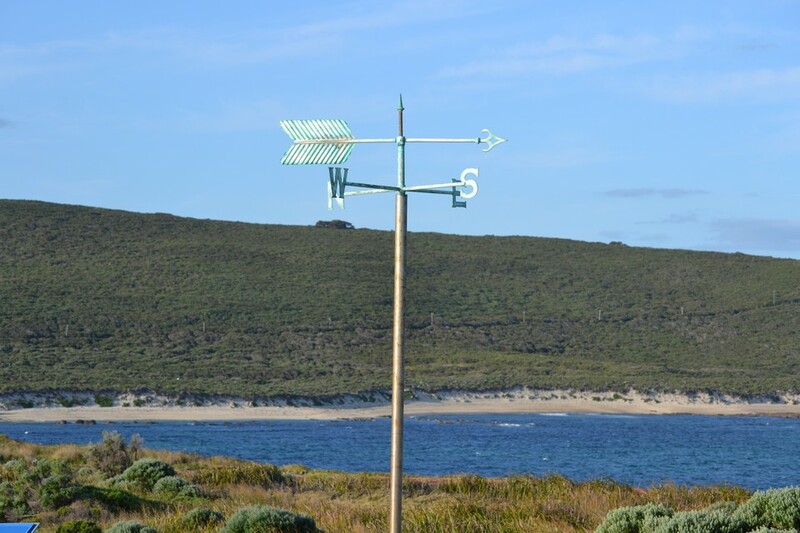 The Leeuwin Estate restaurant is also a great place to eat. Thanks for suggestion. Will try sometime.